We, at klifftechnologies, cater exceptional e-commerce websites for start-ups, enterprises, retailers, merchants, and brands. Our solutions are tailored to the unique requirements of the clients so that they bring effective results for online businesses. Over the years, we have built a reputation for providing the best e-commerce development services for many industry verticals such as apparels, retail, travel, real estate, healthcare, financial services, and more. 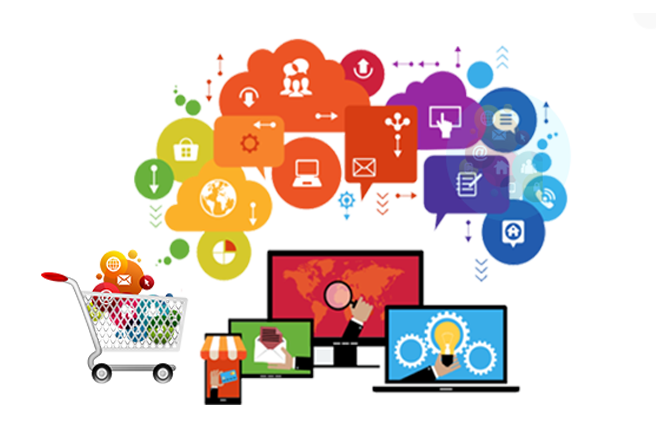 Our team comprises of expert e-commerce specialists who have rich knowledge and experience with the various platforms and technologies. We are committed to delivering every project on time and within the budget of the client, making us the best destination for end-to-end e-commerce solutions. Our Website Solution helps to grow your business Online, generate leads, calls and Revenue.. CONTENT POLICY : Please note that we do not use plagarized content from any website. Content is to be provided by customer only. DOOR VISIT POLICY : We do not charge for arranging a meeting at your doorstep if you finalize the order and make advance payment. Else you need to pay $ 50 which will be adjusted in your payment. Thanks for Submitting your query we will get back to you as soon as possible! All site designs, texts, graphics, logos, icons and images thereof are exclusive property of Klifftechnologies or its licensors and are protected by International copyright laws. Users do not have any right to reused in any way, without taking prior written permission from Klifftechnologies. The trademarks including designs, logos, service marks displayed on the site are registered and unregistered trademarks of Klifftechnologies and its licensors. You agree that you will not refer or publish any information to Klifftechnologies in any other public media including websites, press releases, etc. for advertising or promotional purposes. Use of any trademark without written consent will be a violation of Klifftechnologies trademark and other intellectual property rights. This site may provide links to other web sites or you may be connected through other linked web sites. These links are provided are for your convenience to gain further information. Access them at your own risk and we are not responsible for the content of the linked sites. These links do not signify that we endorsed the sites. kliff technologies is the sole owner of the information collected through the web site/phone/e-mail. We will not sell or rent this information to others in ways different from what is disclosed in this policy. Kliff Technologies collects information from the users at several different points through our toolbar. A website deposit payment secures your design and development time. When a deposit is paid, we may turn away other work so that we have capacity to work on your project and therefore the deposit is non-refundable at this stage. kliff technologies will refund all payments made in relation to website design services if we have failed to provide a complete service. Our Terms & Conditions along with the original invoice state our offering and these will be considered when deciding if we have met our service standards. We may require further investigation in to a project when a refund is requested and this could include email correspondence, telephone calls and any other documentation. We will take no longer than 1 month to carry out this investigation. If a refund is decided upon, the refund will be paid within 14 days.